Learn more about applying to Rollins as an international student, including application requirements, admission deadlines, and transfer credit. Students whose first choice is Rollins are encouraged to apply Early Decision. Early Decision is a binding program, and accepted students are expected to enroll. You must complete and return the Early Decision Agreement Form to be considered for Early Decision. For more information about Fall and Spring Semester Transfer admission, visit Admission Guide: Transfer Applicants. Credit is awarded for Advanced Placement Exams, International Baccalaureate programs, Caribbean Advances Proficiency Examinations (CAPE) or dual enrollment courses. Advanced Placement (AP) Exams: A score of 4 or 5 on an Advance Placement Exam is worth one elective course credit. Grades of C or better on most British GCE A-Level exams are worth two course credits each, and up to eight course credits may be awarded for the German Abitur. For additional information on Advanced Placement Credit, please visit: http://www.rollins.edu/admission/documents/advanced-placement-rollins-college.pdf. One year (32 semester hours) for students with an IB diploma and a score of 30 or better. Eight semester hours for each higher level score of 5 or better and four semester hours for each score of 4 or better to a maximum of 24 semester hours for students with or without an IB diploma and a score of less than 30. General education requirement credit and advanced placement in major courses will be granted as appropriate, subject to approval. For additional information on IB credit, please visit: http://www.rollins.edu/admission/documents/international-baccalaureate-rollins-college.pdf. Caribbean Advanced Proficiency Examinations (CAPE): The Caribbean Advanced Proficiency Examination (CAPE) indicates a level of achievement that may qualify a student for advance standing. This is a great way to save on both time and tuition funds. Credit is awarded for CAPE if certain requirements are met. Official CAPE scores must be submitted to the Office of Student Records. Students with CAPE scores of one (1) or two (2) will be awarded four (4) semester hours of academic credit. No credit will be awarded for Technical subjects. For additional information on CAPE, please visit: http://www.rollins.edu/admission/documents/cape-equivalency-rollins-college.pdf. 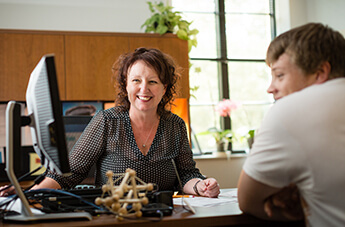 Designed for students with exceptional abilities, the Honors Degree program admits first-year students with a superior record of academic achievement and leads to a distinct and separate undergraduate degree-Artium Baccalaureus Honoris-the Honors Bachelor of Arts Degree. First-year accepted students chosen for initiation into the Honors Degree Program receive notification from the Director of the Honors Program shortly after learning of their acceptance to Rollins. Honors Students complete a core of interdisciplinary courses designed to provide an integrated understanding of the liberal arts. A series of four team-taught seminars during their first and second years introduces students to the various methods of inquiry in a liberal education. Honors seminars in the third and fourth years support significant independent research projects that represent the culmination of students' Honors experience at Rollins. More information about the Honors Degree Program is available on the Honors Program website.